On Monday, Total SA, based in France, said it has agreed to a deal win Iran to invest $1 billion in a giant gas field in the Islamic Republic, which marks the first big investment in many years by a company from the West in Iran’s oil sector. Total’s investment will make it the lead operator in its partnership with Petropars from Iran and China National Petroleum Corp the gas field South Pars located beneath the Persian Gulf. The field is one of the largest in the world. The oil ministry in Iran said on Monday that the contract would be signed in the afternoon. The oil giant based in Paris has been the leader in returning to Iran since sanctions by the West were lifted. The deal on Monday will mark the end of months of negotiations after a preliminary agreement was signed by Total of $4.8 billion to develop the deposit of gas alongside partners late in 2016. 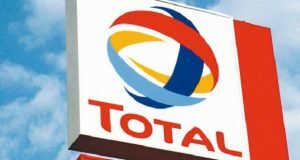 Total CEO Patrick Pouyanne has said that the first $1 billion pledged by Total on Monday was to be used in helping fund the first phase of the project. Total said that gas from the field would supply the domestic market beginning in 2021. Total was in talks with Iran for creating the first export system for liquefied natural but were not able to agree on the price of the gas, said people close to the situation. International oil firms have not re-entered the Islamic Republic quickly following the deal made by Iran and world powers two years ago that lifted most of the sanctions place by the West on Tehran. Energy business is politically fraught in Iran where the country needs international business as a way to develop its resources but see gas and oil as an important national asset that should not be handed over to foreigners. With sanctions by the U.S. over weapons, human rights and terrorism still remaining, a number of banks refused to deal with the Tehran and the country’s hardliners pushed back against the attempts made by the administration of President Hassan Rouhani to make the terms of for foreign oil companies better. Negotiations between Tehran and oil companies have been further complicated by the election of President Donald Trump in the U.S. who has been very critical of the agreement reached with Iran over its nuclear program in 2015. Royal Dutch Shell an Anglo-Dutch top rival of Total has signaled its interest as well in returning to do business in Iran.